destruction in the Visayas region. 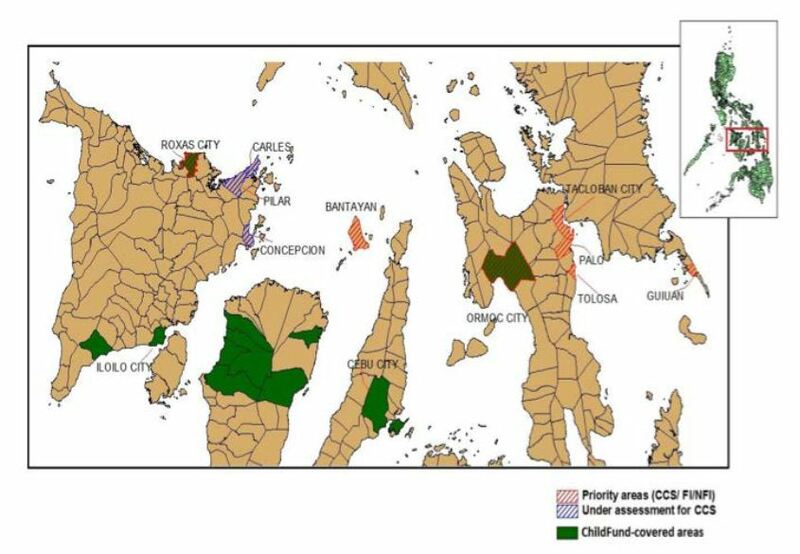 The worst hit areas include the islands of Samar, Leyte, Cebu, Bohol and Iloilo. What humanitarian assistance is needed? Distribution of 1,000 non-food item (NFI) kits (including bath soap, sanitary pads, laundry soap, blankets and cooking utensils) to families in the target areas. Given this level of impact, the overall objective of ChildFund’s response as a child-focused organization is of protecting the children and families of this emergency. 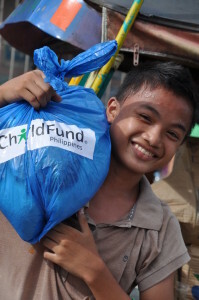 ChildFund’s response will be an integrated one, addressing the well-being, development, and protection needs of both children and families during the relief and early recovery stage. 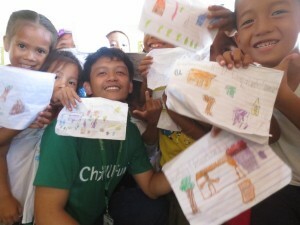 Child Protection is the centrepiece of ChildFund emergency programs. During emergencies, children’s vulnerability increases; while parents’ and caregivers’ energy and attention is focused on satisfying basic needs such as finding shelter, food, water and emergency assistance. Children are often left unsupervised in chaotic situations, increasing their susceptibility to abuse, exploitation, and harassment. Children are often separated from loved ones, and exposed to levels of violence and destruction that have long term effects on their psychological and physical development. 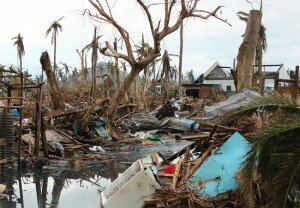 Early assessment reports indicate that more than 180,000 pre-school and school age children are currently displaced following typhoon Haiyan, and 12,000 public elementary schools and 10,000 day care centers, serving about 4.7 million children, are affected. create safe spaces for children and youth to play, socialize, learn, and express themselves in a caring and supportive environment especially when community structures such as Early Childhood Centers (ECD)s and schools are badly damaged in many areas. The CCS will act as a referral pathway for services needed by children and adolescents with particular protection needs and vulnerabilities. Children with handicaps and disabilities, survivors of violence, gender-based violence and abuse, can be supported. This is also an opportunity to identify the most vulnerable children and families and to advocate on their behalf to gain access to services. Families and children affected by the super typhoon in the Philippines are provided with an integrated response addressing their well-being, development and protection needs during the relief and early recovery stage.